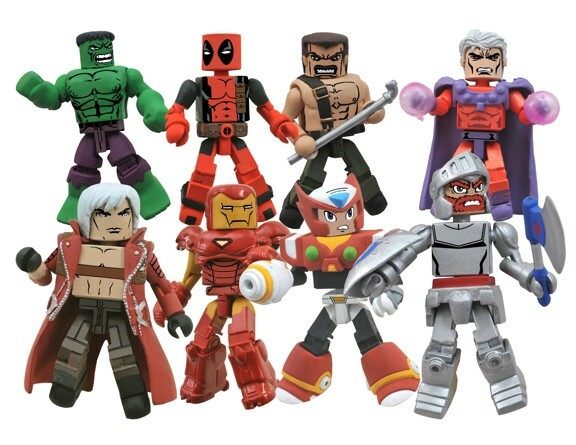 Diamond Select Toys and Art Asylum have announced the next Marvel Minimates Box Set that will be exclusive to Action Figure Xpress and only available at San Diego Comic Con 2011 (SDCC). This set will include Thor, Loki, Beta Ray Bill, and Sif. Oh yeah, very nice! 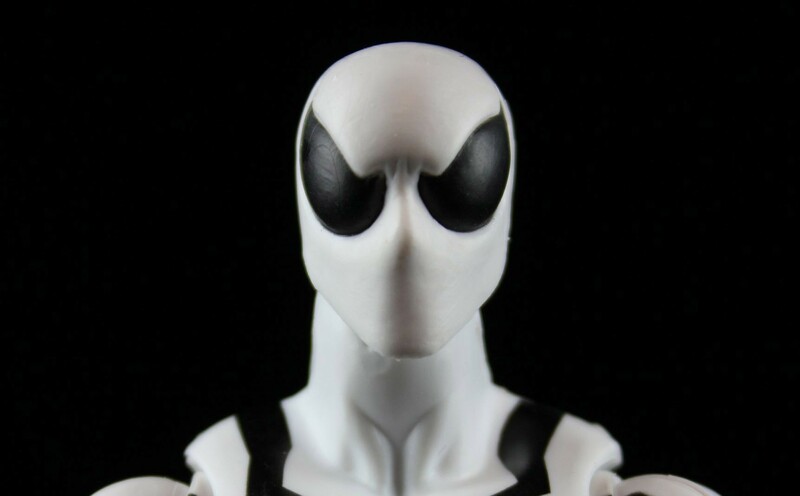 I am definitely looking forward to this set! 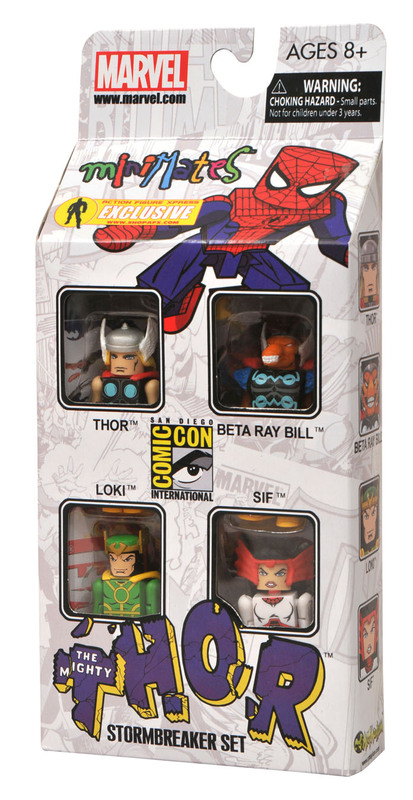 As promised, here is the second Minimate box scheduled to debut at San Diego Comic-Con! From the pages of Thor comes… “Stormbreaker”! 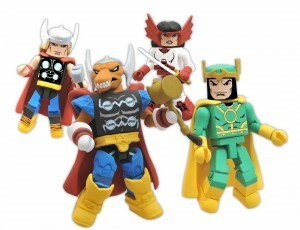 This set commemorates the storyline in which alien Beta Ray Bill crossed paths with the God of Thunder, hefted the enchanted hammer Mjolnir and was granted the power of Thor himself. With everyone in the Marvel Universe picking up hammers nowadays, we thought it would be appropriate. 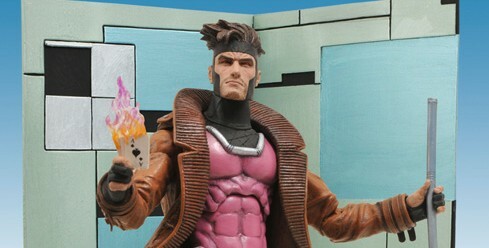 Available only at the Action Figure Xpress booth, #3345. 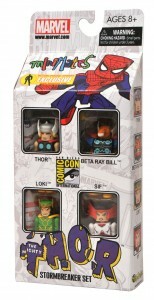 @minimatefactory wrote: I wish Thor wasn't in this set, as we have plenty of him, but the other 3 figures are fantastic! *Sorry @minimatefactory! Your comment was lost when I had to pull/delete the article until DST updated their information for the product. 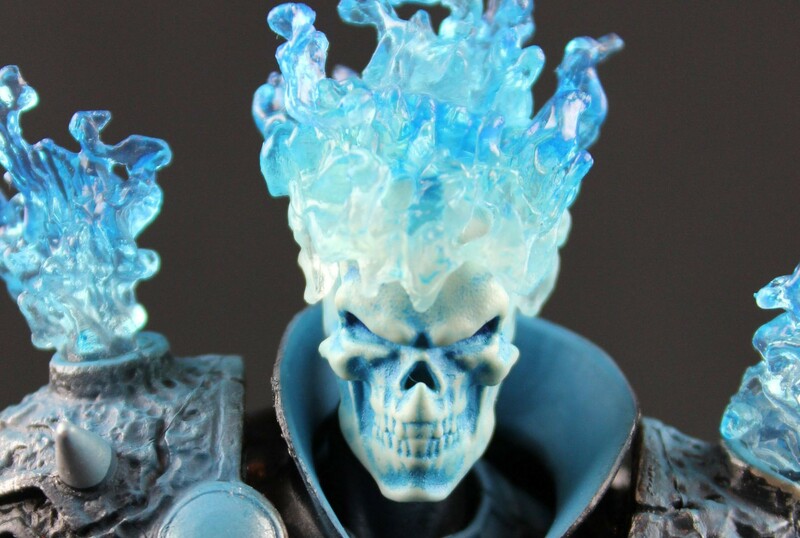 We do have plenty of Thor's already, but for some reason I like this version too. 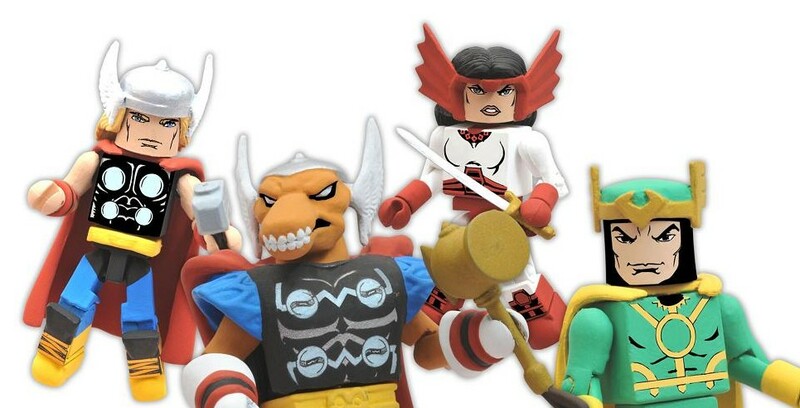 Loki, Sif and Beta Ray Bill are just too awesome though. I'd like to see more classic Thor characters made eventually.